Last year’s decline in the Chinese solar thermal market was greater than expected: Statements by the Chinese Solar Thermal Industry Federation during the annual assembly in Suzhou, Jiangsu, in November 2015, indicated that around 43.5 million m² had been newly installed in 2015 – 17 % less than in the previous year. Back in October 2015, solar thermal analyst Hongzhi Cheng expected the market only to drop to 50 million m². The figures gathered by Cheng and his Sun’s Vision team for 2014 had totalled 52.4 million m², which is also a reduction by 18 % compared to the year prior. According to Sun’s Vision´s market statistics, the share of flat plate collectors in the total newly installed collector area was 12.7 % in 2015, up from 8 % in 2010. The entire newly installed flat plate collector area last year was 5.5 million m², which means installations were back to the level of 2012, after a peak in 2013 with 7.6 million m². 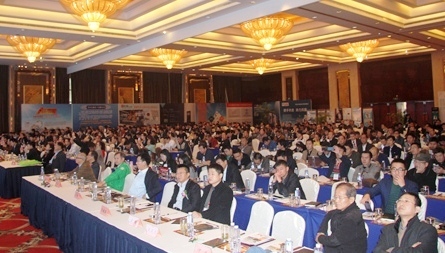 Market figures for 2015 provided by Chinese market research agency Sun’s Vision. “In 2015, the Chinese solar thermal industry was under pressure from the difficulties of the world economy and the slow-down of domestic economic development,” CSTIF’s Executive Director, Xiaoli Zhang, said. “We should now concentrate on technological progress and new applications in industry and agriculture.” Obviously, the decline in the residential sector’s retail business was not offset by the rapidly growing segment of commercial projects in urban areas. “Innovation is the only way to success, this seems to be the consensus in most companies,” Zhang emphasised. 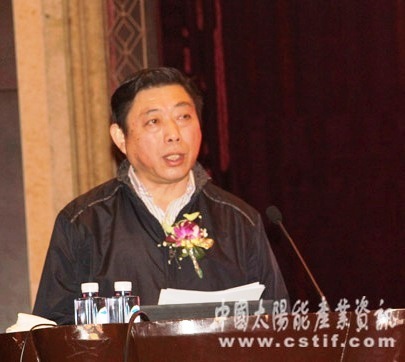 The CSTIF executive director lauded that ten manufacturers in the province of Shandong had joined forces to counter the strong price competition, with the objective to protect the reputation of the industry and the interests of consumers. “The 13th Five-Year Plan gives solar thermal technology the role of the main force behind energy conservation,” Dr Tao Kong from the National Energy Board’s New Energy and Renewable Energy division underlined during his opening speech during the CSTIF assembly. To take this great responsibility serious, the association should focus on product quality improvements and market analysis. “CSTIF should analyse the market well and organise seminars related to space heating applications and international cooperation,” Kong added.